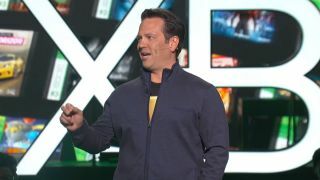 Which games does Head of Xbox Phil Spencer play for fun? They make the games we love, but what do they play for fun? We ask developers to pick six from Xbox history, and this time it's the turn of Phil Spencer, Head of Xbox. Crimson Skies is a game from the original Xbox I think had a unique storytelling style, kind of alternate future, that I miss. I miss Jordan Weisman’s ability to tell a story in that kind of space. To pick another Jordan game, I would say Mech Assault. It was nice in terms of modes and customisation, and multiplayer is rich and that’s something we can really learn from. I will take Gears of War 1, because when I saw Gears in HD for the first time, it really struck me that we were really moving the console generation from standard def to high def, and I remember my jaw hitting the floor when I saw that game. I’m going to take Ori and the Blind Forest from this generation, because I think Ori does a very nice job with bringing gameplay from old, but from an audio, visual and framerate standpoint, feeling like it’s a perfect current generation game. And Steel Battalion, because it was $200 to buy the whole thing – that was one of those wacky times. I don’t think it was the greatest game, but I remember the first time I saw it I thought it was remarkable for how over-the-top it was. This article originally appeared in Xbox: The Official Magazine. For more great Xbox coverage, you can subscribe here.